Patricia Colleen Murphy founded Superstition Review at Arizona State University, where she teaches creative writing and magazine production. She won the 2019 Press 53 Award for her poetry collection Bully Love and the 2016 May Swenson Poetry Award for her poetry collection Hemming Flames. Her writing has appeared in many literary journals, including The Iowa Review, Quarterly West, and American Poetry Review, and most recently in Black Warrior Review, North American Review, Poetry Northwest, Third Coast, and Natural Bridge. A chapter from her memoir in progress was published by New Orleans Review. She has received awards from the Associated Writing Programs and the Academy of American Poets, The Madison Review, Glimmer Train Press, The GSU Review, and The Southern California Review. She reviews literary magazines at Lit Mag Lunch and reviews books on Goodreads. 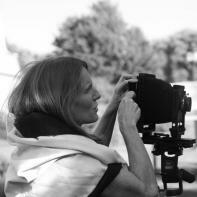 Betsy Schneider is a photo-based artist and educator. Her artistic concerns range from trying to understand time, decay and the body, to exploring childhood, culture, and relationships and looking very closely at strange visceral things such as candy, placentas and the mouth. She uses a variety of photographic tools including APS, digital, medium format and view cameras and digital and computer generated video. Her work manifests itself through exhibitions of rectangles on the wall, video installations and books. Her work is in several private and public collections including that of actor Jamie Lee Curtis, Museet for Fotokunst in Denmark, the Museum of Fine Arts Houston and the Nelson-Atkins Museum in Kansas City. She has taught and lectured across the US, Scandinavia and the UK. She is a 2011 Guggenheim Fellow and an Associate Professor in the School of Art at Arizona State University. 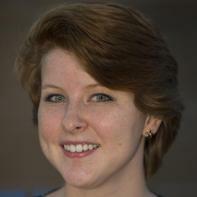 Web Design Advisor Claire Lauer teaches courses in visual communication, multimedia composing, and technical communication as an assistant professor in the Multimedia Writing and Technical Communication program at Arizona State University. 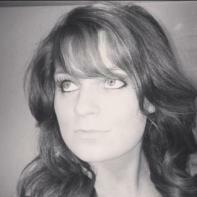 She is a certified Webmaster and has taught workshops in Web design and writing for the Web. 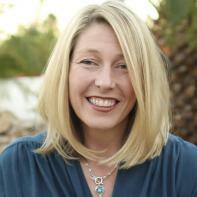 Fiction Advisor Kristin LaCroix teaches creative writing at Arizona State University. She is the recipient of the 2001 Katherine C. Turner Award in Poetry from the Academy of American Poets. Her community outreach projects include working with Alzheimers patients through poetry, and teaching in the Tempe Community Writers Project. She worked as an Education Specialist on the Fort McDowell Yavapai Reservation where she taught creative writing workshops and led the community children in producing a literary journal of their poems, stories, and artwork. Poetry Advisor Mark Haunschild teaches contemporary literature, creative writing, and composition at Arizona State University’s downtown Phoenix campus, where he also coordinates the F2F Writers’ Studio. His recent poetry appears in Waxwing, Watershed Review, and The Drunken Boat. Interview Advisor Melanie Pitts is a Lecturer in English and Interdisciplinary and Liberal Studies for Arizona State University's School of Letters and Sciences. She received her PhD in Literature from the University of Miami (Coral Gables, Florida) in 2003. Her areas of specialization and research interests include English and Italian Renaissance literature, women's literature, and interdisciplinary approaches to identity and subjectivity. 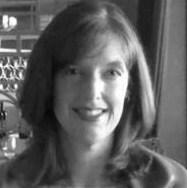 Nonfiction Advisor Rebecca (Becky) Byrkit received her MFA in Poetry from the University of Arizona in 1992. Her poems, fiction, and nonfiction have appeared in Best American Poetry, Best of Exquisite Corpse, Crazyhorse, Ploughshares, Rolling Stone, Arizona Highways, the Sonora Review, and Black Warrior Review. She is a founding faculty member of the ASU Masters of Liberal Studies program, and teaches creative writing workshops with the ASU English department. Sydni Budelier is the student editor-in-chief of Issue 12 and blogger for Issue 11. 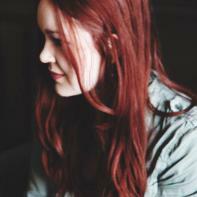 She is an English Creative Writing major with a concentration in fiction. As student editor-in-chief of Superstition Review she is responsible for planning and promoting intern events, keeping interns up to date with news and tasks, and carrying out all the small gestures that go into building a team. She is also the vocalist and lyricist of Emeth, a local, independent four piece which draws influence from jazz and folk genres. After obtaining a degree in Creative Writing, Sydni plans on making her way into the publishing world with the dream of working for a magazine focused on fashion, music, literature, and art. 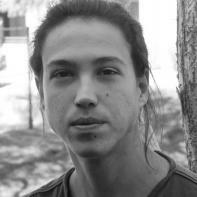 Abner Porzio is the poetry editor for Issue 12. He is a poet in Arizona State University’s Undergraduate Creative Writing Program. Fiction, creative nonfiction, children’s books and poetry are what Abner focuses on the most, while mastering his craft. He aspires to be a published novelist. He taught ten eight-week semesters for ASU’s Writers’ Studio as an online TA for English 102 since May, 2012. In Abner’s free time, he loves to be outdoors or draw with color pencils. Alyssa Maese was born in Las Cruses, New Mexico, but has been living in Arizona for the past seventeen years. Growing up she collected cameras and enthusiastically photographed family and friends. During her last year of high school she filled her schedule with art classes, throughout the 2008 school year she took a variety of art courses where she meet instructors that encouraged her to pursue a career as an artist and photographer. Alyssa is currently studying photography at Arizona state university. Recently Alyssa has been fascinated, and experimenting with alternative and early photographic processes. 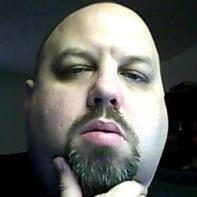 Andrew Thompson is the social networking editor for Issue 12. He is a senior at Arizona State University and will be graduating in May 2014 with a B.S. in Technical Communication. He plans to move to San Francisco after graduation to pursue a job in editing and/or technical writing while furthering his education. April Hanks is the interview editor for both Issue 11 and Issue 12. She is currently a junior at Arizona State University. 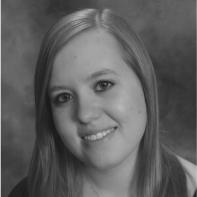 She is pursuing concurrent degrees in English literature and communication as a student in Barrett, the Honors College. After completing her undergraduate degrees in the spring of 2015, April hopes to either earn a master’s degree or launch directly into a career as an editor. Bianca Peterson is the content coordinator for Issue 11, Issue 12, and Issue 13. She is a senior at Arizona State University pursuing a Bachelor of Arts degree in English literature. This is her third and final year as an intern with Superstition Review. 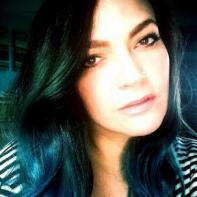 A paper she wrote on folklore and tabletop gaming was accepted into the Southwest Popular and American Culture Association’s (SWPACA) academic conference in New Mexico in February 2014. After graduating this semester, she hopes to find a career in the editing or publishing field while she works on writing her first novel. She is also making arrangements to utilize her skills to be a freelance editor and proof reader. Bradly Brandt is the advertising coordinator for both Issue 12 and Issue 13 as well as poetry editor for Issue 14 and Issue 15. He is an Arizona resident and currently pursuing a Bachelor of Arts in English with a concentration in Creative Writing at Arizona State University. Bradly is a lover of the outdoors. When not writing, Bradly spends his time climbing and hiking the Arizona desert. Bradly aspires to one day obtain a Master of Fine Arts in Creative Writing. 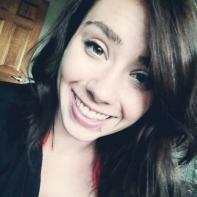 Chelsea Brogi is the content coordinator for Issue 12. She was raised in Bellingham, Washington, but moved to Arizona in 2002. She is a senior at Arizona State University and will be graduating with a BA in English literature in December, as well as with a minor in communications. In her spare time she likes to read and spend time with her animals. After graduation, Chelsea plans on continuing at her current employer and continue with aspirations of becoming a novelist. Elizabeth S. Hansen is the student editor-in-chief of Issue 14, social networking editor for both Issue 12 and Issue 15, and poetry editor for Issue 13. She is a senior at Arizona State University Tempe pursuing degrees in creative writing and communication under Barrett, The Honors College, as well as a writing certificate. In addition to working as content coordinator at Superstition Review, she is also a student editor for Marooned. Her work has been published in Issue 8 of Miracle E-zine and Lux and is forthcoming in undergraduate creative review Marooned. Upon graduation, Elizabeth plans to pursue a master's in mass communication. lizabeth Sheets is the student editor-in-chief of Issue 15, blogger for Issue 12, and content coordinator for both Issue 13 and Issue 14. She is a copy editor and reader for Black Fox Literary Magazine. 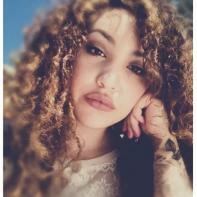 She is an undergraduate student at Arizona State University, majoring in English and creative writing. When Elizabeth is not writing or loitering in coffee shops, she works fulltime as an administrative assistant for an electrical contractor in Gilbert, Arizona. 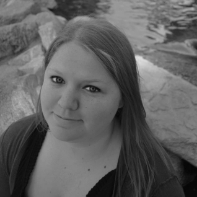 Her work appears in Kalliope – A Consortium of New Voices and in Black Fox Literary Magazine. 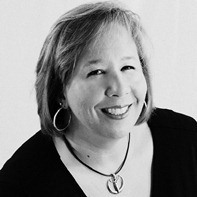 Gloria Bonnell is a blogger for Issue 12. She is an undergraduate student at Arizona State University, majoring in English, Creative Writing with an emphasis in fiction. Other internships have included the PEN Project, an effort to bring education to prison inmates through Creative Writing, and Hayden’s Ferry Review, a semi-annual journal of literature and art published out of Arizona State University. Her work appears in Mariposa Literary Review, Marooned, and The Whistling Fire. Hannah Guy is a senior at Arizona State University majoring in Creative Writing and Theatre through Barrett, the Honors College. She is currently in pursuit of her Honors Thesis in Creative Writing with an emphasis in Fiction. Hannah is a fiction editor for Superstition [Review] and hopes to continue on in the world of writing after graduation. In her free time, Hannah enjoys building furniture and waterskiing. Heather Hill is the social media editor for Issue 12. She is a native Arizonan from Glendale, Arizona. She is currently pursuing a bachelor’s degree in Literature at Arizona State University, and has been a two-time Dean’s List honoree. After graduation in December 2013, Heather is planning to obtain a teaching certificate, and hopes to work in either education or social media, aspiring to perhaps even potentially integrate both fields into her career. In her spare time, Heather enjoys reading, watching sports, and taking care of her pet guinea pig, Squeakers. James Attwood is an undergraduate student at Arizona State University. He is majoring in English, with minors in Philosophy and Film Studies, while also pursuing a certificate in Medieval and Renaissance Studies. Upon graduation in December of 2013, James plans to continue his work towards a doctoral degree in English with emphases in composition and creative writing. When not studying writing or philosophy, James engages in studies of Old English and Arthurian romances or writes a blog about Major League Baseball. James is a native of Arizona and the father of three children, ages 16, 10, and 2. 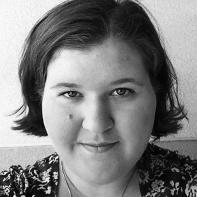 Julie Matsen is a blogger for Issue 12 and the nonfiction editor for Issue 13. As a Virginia native transplanted in Arizona at a young age, she can frequently be found plotting her next adventure. When she isn’t reading and writing for school, she’s usually doing it for fun, and she hopes to work in publishing and editing for her professional career. 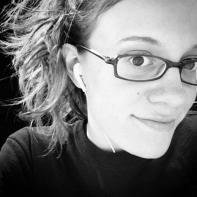 In addition to managing the S[R] blog, Julie writes for Barrett Unscripted and for herself. Julie lives in Peoria, Arizona with her family and her dog Gus. She looks forward to graduating with honors in May of 2014. 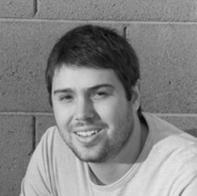 Kevin Hanlon is the fiction editor for both Issue 12 and Issue 13. He is also an intern for Hayden's Ferry Review. He is from Northeastern Pennsylvania and currently lives in Tempe. He will graduate in May with a degree in English focused in Creative Writing. In his spare time he enjoys bicycle rides when he is not reading or writing. Kira Assad is the interview editor both Issue 12 and Issue 13. 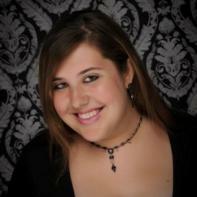 She is currently pursuing a bachelor’s degree in Literature at Arizona State University and will be graduating in May. She is an interview editor at Superstition Review and an intern with the English Department as the Graduate Program Assistant. Her other passion is music where she plays clarinet in the Sun Devil Marching Band and tenor sax in the Maestros of Swing Big Band. Upon graduation, she plans to pursue graduate school after first taking some time off to travel and see the world. She also hopes to one day become a published author. 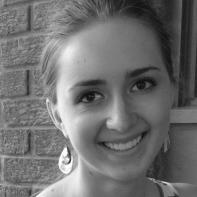 Lindsey Bosak is the social media editor for Issue 12. She is a junior double majoring in English Literature and European History at Arizona State University’s Barrett the Honors College. When she has free time she can be found reading history novels and baking far too much. In the near future Lindsey plans to attend graduate school, and one day she hopes to work in the publishing field as a book editor. Megan Campbell is the social media editor for Issue 12. She is currently a senior at Arizona State University studying English, with an emphasis on literature and editing. She plans to continue attending school to gain knowledge in the field of journalism, as she has had an article published recently. She would like to expand her experience by teaching English to students in Title I schools. She tutors several young adults in English and Creative Writing and has taken many courses that relate to writing and the development of it. Meredith Minne is from Juneau, Alaska, but has spent most of her time in Tempe, Arizona. She will graduate in December of 2013 with a BFA in photography from Arizona State University, having studied most extensively with Betsy Schneider and Mike Lundgren. Her immediate plans are to photograph the North West territory of the United States and to continue to sing in her group Stellacutta who will be featured on a Harry Nilsson tribute record produced by Old Soul Studios due out late 2013. Their debut album was released in April, 2013. Rikki Lux is the advertising editor for both Issue 11 and Issue 12. She is a senior pursuing a bachelor’s degree in English Literature with a minor in Communications. She hopes to work as an editor or in advertising once she graduates in May 2014. This is her second semester as an advertising intern with Superstition Review. Sarah Anderson is a social media editor for Issue 12. 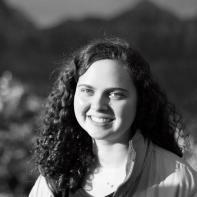 A junior in the Barrett honors college at ASU, she is double-majoring in both English Literature and Print Journalism. In between classes she works for The State Press Magazine and interns at Superstition Review. 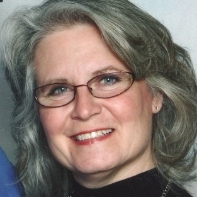 A lifelong reader turned writer, she is also a member of scribes@ASU. She has published nonfiction pieces on the website of “Teen Ink” and a fiction piece titled “The Puzzler” published in an issue of “Lux” magazine. Someday she aims to publish a novel and a short story collection. 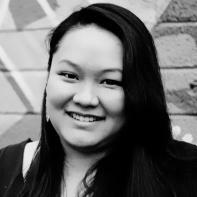 Therese Lacson is the social media editor for Issue 12. 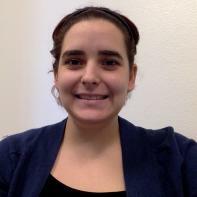 She is a third-year undergraduate at the Barrett Honors College, majoring in English literature and minoring in European history at Arizona State University. 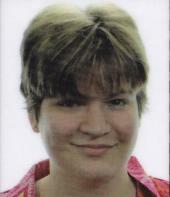 She has long time, self-taught knowledge in web and graphic design. She is founding editor-in-chief of the blog Nerdophiles, and she hopes to pursue a future in social media and novel writing.